The taxpayer-funded German state broadcaster has released a colourful children’s cartoon animation criticising anti-Islamisation movement PEGIDA, as German politicians, the mainstream media, the arts, and the Church unite to pour scorn on the Patriotic Europeans Against Islamisation of the West (PEGIDA). The group, which has instigated a series of weekly ‘strolls’ in the tradition of the East German citizens who employed non-violent resistance against the former communist regime which collapsed in 1989, has found itself the target for scorn from the centre-left ruling elite in the past few weeks. Starting as a movement calling for an end to the Islamisation of Europe, the banners and themes present at the strolls are as diverse as opposition to mass immigration, opposition to unlimited asylum applications, and calls for peace with Russia. West German taxpayer funded television network ZDF has released a short film and a number of web pages through its youth-channel ZDFtivi to educate children about the political movement. The state broadcaster made little apparent effort to present any form of neutrality over the report, which is entitled “Together Against PEGIDA”. 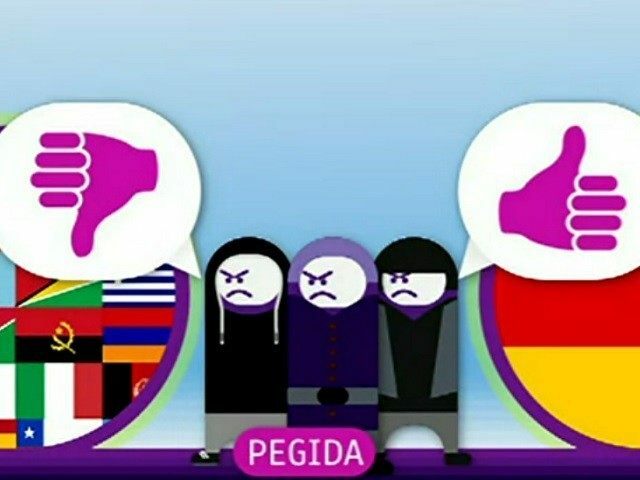 Using brightly coloured cartoons, ZDFtivi helpfully informs its young audience that “the majority of Germans do not support the opinions of PEGIDA”. Describing what ZDF understands the average PEGIDA member to be like, the short film says: “Some of them are unhappy. They are either unemployed, or earn very little money. They fear that immigrants will take away jobs from Germans. “Other PEGIDA followers are frustrated. They are angry with the politicians in Berlin. 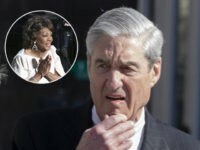 These people feel that the politicians don’t take care of their problems. “And then there are right-wing extremists participating in the protests. They think Germans are worth more than people from other countries. Some even hate immigrants… Experts say that most of the fears of PEGIDA followers are unfounded”. The cartoon figures representing PEGIDA members are depicted wearing hoodies, and become visibly angered when confronted with politicians and foreign flags, bizarrely including the flags of Israel, Japan, and Hong-Kong. 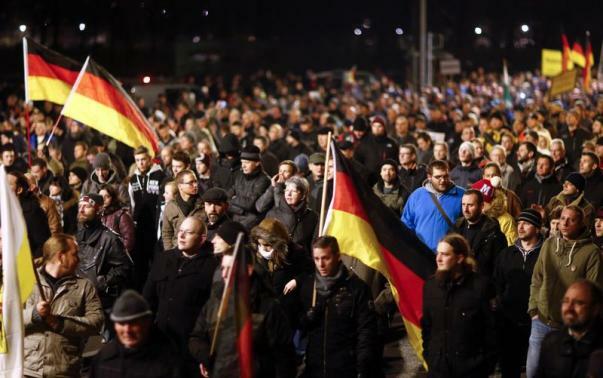 A December 2014 meeting of PEGIDA in which 17,500 Germans ‘strolled’ through Dresden in East Germany. The video links to another page on the children’s website which offers a definition the meaning of the term ‘right-wing’, again using simple language and bright colours. It describes right-wingers as people who are”of the opinion that not all people are of equal worth… They hate people with a different skin colour or religion”. To reinforce the point, the text is accompanied by a picture of Adolph Hitler. Unlike the United Kingdom, the German television licence, which costs £170 a year, is mandatory for all households and many businesses regardless of whether they own and operate a television or not. Although a 2014 review by the Ministry for Finance found the concept of a universal television tax “no longer appropriate” in a modern age of internet streaming and new media, all attempts to challenge the system have been shut down by the government and courts. Germany is the greatest importer of migrants and asylum seekers in Europe, and the second greatest in the world after the United States, a position chancellor Angela Merkel defended in her new year’s address, remarking it “goes without saying” Germany should accept immigration. Speaking of the PEGIDA movement, Merkel warned citizens to not join their cause, saying they had “prejudice, coldness, even hatred, in their hearts”. PEGIDA announced it would be taking a break from its weekly marches last week to give German police time off during the Christmas period, following a successful 17,500 strong ‘stroll’ in which supporters sang Christmas-carols in protest at what they see as the creeping Islamisation of Europe. The directors of Dresden’s Bavarian State Opera house, outside which the march began, declared their distaste for the popular meeting by turning the external lights of the building off, and by unfurling three colossal 50-foot banners inside the neoclassical portico, imploring the marchers to engage in “humanity, respect, and diversity”. The first marches of the year will take place tonight all over Germany, with cadet groups in addition to the founding Dresden movement taking to the streets in twenty cities. Cologne cathedral has announced its intention to follow the example of the Bavarian State Opera by turning its lights off for the duration of the local stroll, which follows the condemnation of the movement by the Protestant bishop of Dresden. The movement will hold its first march in Berlin tonight, but is expected to be outnumbered by a counter-protest co-hosted by a coalition of anti-fascists and migrant Turks living in the capital. The idea behind the marches also appears to be moving across borders, as an umbrella-group called ‘PEGIDA Europa’ now links to affiliated movements in Sweden, France, Italy, Spain, and Austria.